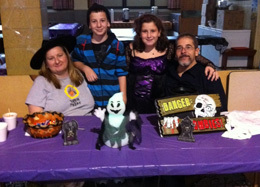 Every year, the Assumption School with the help of the Famil School Association sponsors the “Tricky Trunk Event”. The school ask students parents to bring their cars to the school parking lot with their trunks decorated so the children can come by and get their treats out of the trunk. 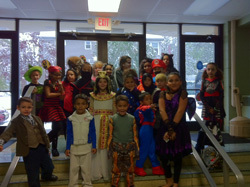 It is open to all students and the children come in costume as do many of their parents. It seems to get bigger and better every year. There are really some creative people out there and it is amazing what they can come up with to make the trunk of a car look inviting. 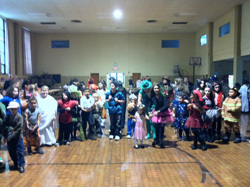 This year, because of the snow, the event took place inside the school auditorium.